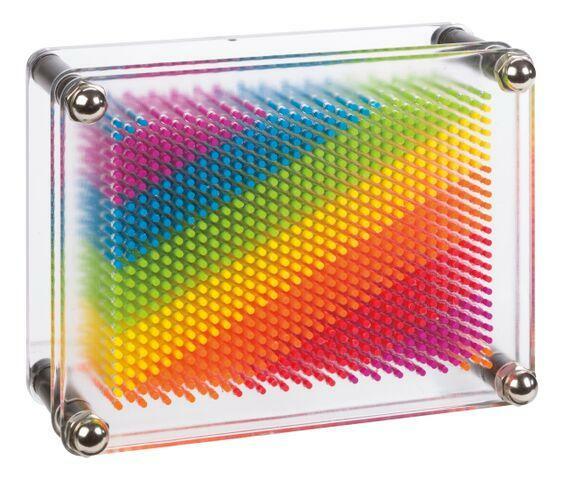 Create an impression by making an instant 3D rainbow image by pushing an object against the neon rainbow plastic pins. Housed in a clear plastic casing. THIS ITEM IS CURRENTLY ON BACK ORDER UNTIL JUNE. WE ARE SORRY FOR THE INCONVENIENCE. Dimensions: L: 5" x W: 2.25"